The Ebola Virus Disease (EVD) outbreak in Likati Health Zone, Bas Uele Province in northeast Democratic Republic of the Congo remains stable and their are plans of declaring the outbreak over on Sunday, July 2. 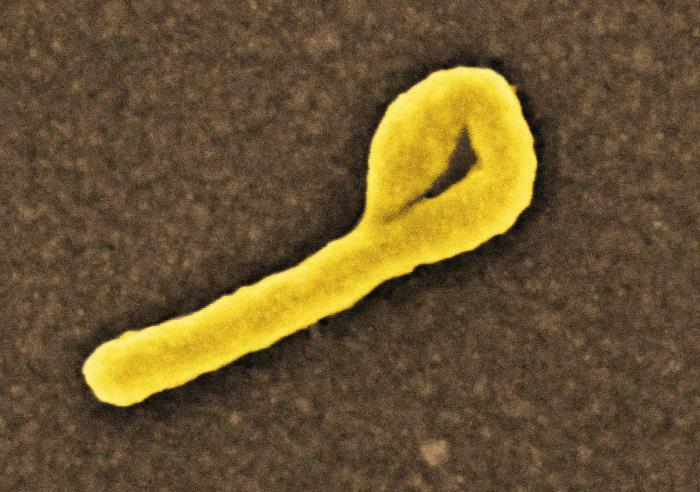 Produced by the National Institute of Allergy and Infectious Diseases (NIAID), under a very-high magnification, this digitally-colorized scanning electron micrograph (SEM) depicts a single filamentous Ebola virus particle that had budded from the surface of a VERO cell of the African green monkey kidney epithelial cell line. This follows a 42 day period since the last confirmed case tested negative for the second time. The 42 day period is twice the maximum incubation period for Ebola and is used to confirm the interruption of human to human transmission of the disease. Following this period enhanced surveillance will continue for 90 days together with heightened infection, prevention and control measures. According to the World Health Organization (WHO), cumulatively, since the start of the outbreak, there have been five confirmed and three probable cases. The last confirmed case was isolated on 17 May 2017 and tested negative for EVD by PCR for the second time on 21 May 2017. Of the confirmed and probable cases, four survived and four died, resulting in a case fatality rate of 50%. The confirmed and probable cases were reported from Nambwa (three confirmed and two probable), Muma (one probable), Ngayi (one probable) and Mabongo (one confirmed).